And our countdown continues . . . as we move into the heart of darkness. You know, it's not that I don't value love, kindness, faith, and redemption. I treasure them. But when you fetishize any values and work them and work them and work them, they ossify. They sour. They become shorthand for real feelings. Then they take their place entirely. That's when they become despicable. 8. 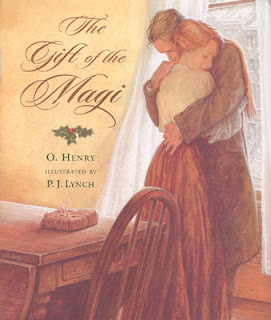 "The Gift of the Magi"
O. Henry (in reality, William Sydney [originally Sidney] Porter) was a formerly celebrated, now largely ignored early 20th century American writer. You used to find his work on every home bookshelf in the country, alongside the excruciatingly sentimental poetry of Edgar A. Guest ("It takes a heap o'livin'/In a house t' make a home"). Among other activities during his life, Henry was an embezzler, a drunk and a jailbird. He was a master of the "twist" ironic ending, which he stole from Maugham, who stole it from de Maupassant. Keeping the tradition alive, Rod Serling stole it from Henry -- now it is known as the "Twilight Zone" twist. "The Gift of the Magi" is his most irritating work. At Christmastime, an impoverished couple tries to find a way to get each other a gift. She sells her HAIR to buy her husband a platinum watch fob (n.b. a chain or ribbon which attaches a pocket watch to a waistcoat) . . . and he sells his watch to buy her some hair brushes. GAAAK! They hug, as somewhere a dark figure laughs hollowly. I can't think of a contemporary version of this. She sells their baby to buy him some beer; he sells his kidney to buy her a bassinet? Och. It's the thought that counts. 7. 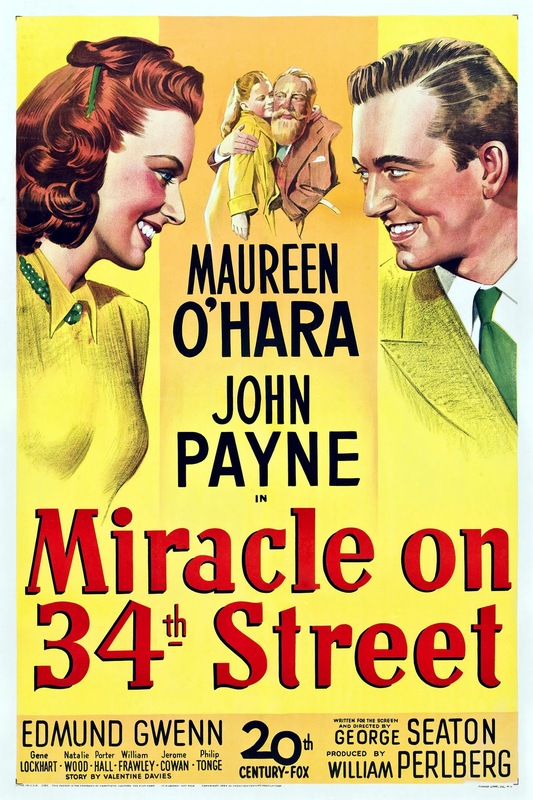 "Miracle on 34th Street"
What hath Valentine Davies wrought? A simple little story became an award-winning film -- which spawned four remakes and a stage adaptation and a musical adaptation. And a puppet show. No, really. The plot hinges on two impossible events -- first, the American legal system errs on the side of compassion; second, the Post Office delivers something desperately needed just in the nick of time. It takes far more faith in these entities than it does in Santa Claus to make this shaky story work. 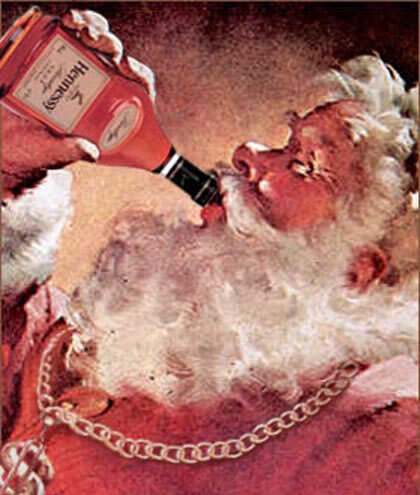 Additionally, watching the conversion of a skeptical little secular humanist into a goggle-eyed Santaphile is just too sad. And I'm talking about Maureen O'Hara, who plays the mom! 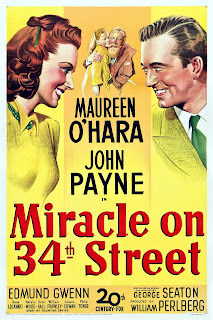 Although I am happy for John Payne's character -- without her spiritual conversion, he wouldn't have had a hope in hell of getting into her pants. P.S. I don't believe Natalie Wood for a New York minute. She just wants that damn house Kris promised her. It's odd, too, that we coo and chuckle over cute little old crazy-as-a-bedbug Kris Kringle, but would cringe, shout and flee if anyone tried that on us in real life. Oh, and by the way, Kris -- Daniel D. Tompkins was NOT John Quincy Adams' Vice President. John C. Calhoun was. Get it together. 6. "It's a Wonderful Life"
The most terrifying ever made, "It's a Wonderful Life" is a fever dream of redemption in the mind of a dying suicide. 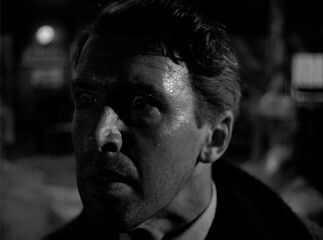 George Bailey actually lives in Pottersville, and desperately dreams of an alternative, wonderful life as he drowns. A fruitless life spent sacrificing for others leads to a snowy bridge and a watery grave. Waah. Put Gordon Gecko in George Bailey's place -- THEN you have a film. 5. 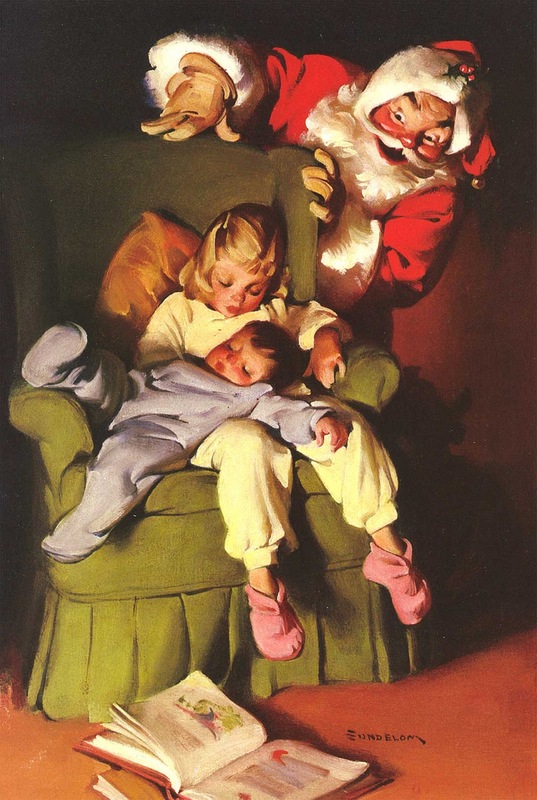 "A Visit from St. Nicholas" aka "'Twas the Night Before Christmas"
A glance at the illustration above is enough to send any self-respecting parent into paroxysms or protectiveness. Look at what's happening in this home-invasion poem! Disturbing the peace. Airspace violations. Trespassing. Breaking and entering. Animal-rights violations ("he was dressed all in fur from his head to his foot"). Second-hand smoke. Disturbing behavior. Dumping. Levitation. Make it stop, mommy. Make it stop. Don't let the bad man in the house!